Many things come to mind when thinking of a Yosemite winter. Close your eyes for a second. Imagine it’s a snowy winter evening and you’re sitting in a rustic cabin sipping hot cocoa with your significant other while curling up with an engrossing novel. The feeling of warmth, security and coziness envelops you as you let the stresses of the outer world melt away with each sip from your mug. The Danish have a word for this feeling of complete comfort: hygge (pronounced ‘hoo-ga’). Other cultures have a similar concept, but around here, we call it winter in Yosemite Mariposa County. There’s no time like winter to get back to the basic comforts of life. Here in Yosemite Mariposa County, you’ll find them in abundance. It doesn’t matter whether your idea of winter wonder is trekking across fresh powder at the Yosemite Ski & Snowboard Area or indulging in the four-diamond amenities at the Majestic Yosemite Hotel. Whether your speed is “go, go, go” or “whoa, there. I’m just here to relax,” we’ve got your bases covered. 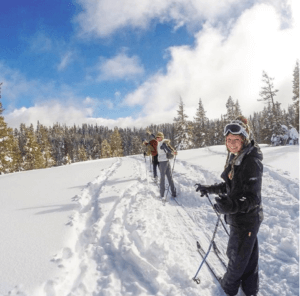 Here’s a look at some of Yosemite Mariposa County’s top winter activities. 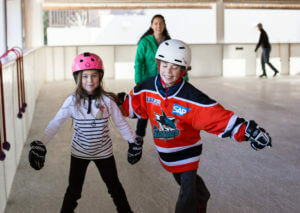 Ice Skating in Yosemite: Remember the scene in “A Charlie Brown Christmas” where, led by Snoopy, the children strapped on their ice skates and enjoyed a carefree afternoon in the snow? Well, it’s time to get in touch with your inner Peppermint Patty and enjoy amazing views of Half Dome from the Yosemite skating rink, which is now located in eastern Half Dome Village. Surrounded by outdoor fire pits, this is the perfect spot for children and grown-ups alike to recall simpler times while getting in a healthy workout. 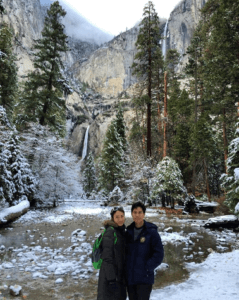 Yosemite Winter Hikes: Sure, there’s often snow in the winter in Yosemite, but it doesn’t stop dedicated hikers from taking to the gorgeous trails around the region. We’ve compiled this list of the top six winter hikes in Yosemite, including an easy walk to lower Yosemite falls and a more challenging hike around Chilnualna Falls. 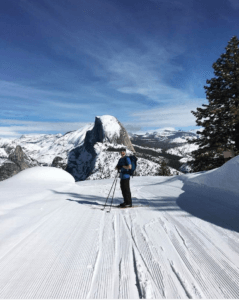 Cross-country skiing in Yosemite: Long considered one of the healthiest (and most rewarding) forms of skiing, cross-country skiing is the perfect way to enjoy the Yosemite Valley this winter. 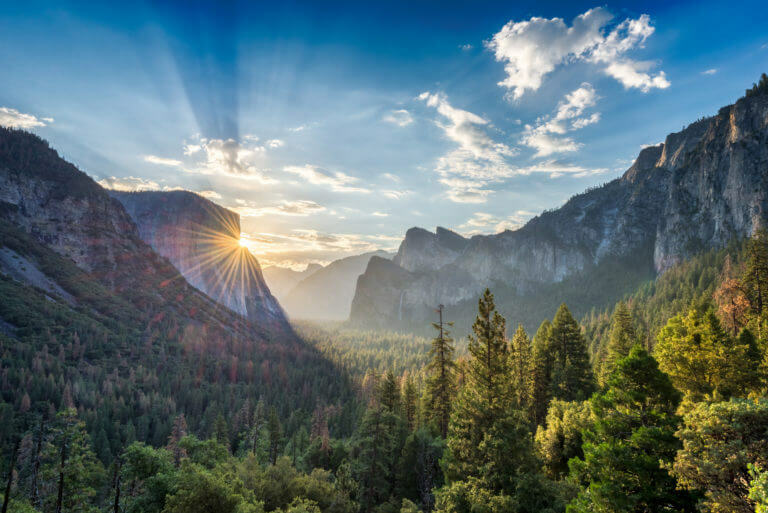 Perched 3,000 feet above the valley, Glacier Point affords panoramic views that include Yosemite Falls, Half Dome and thousands of acres of gorgeous alpine scenery. Explore one author’s experience cross-country skiing Glacier Point here. 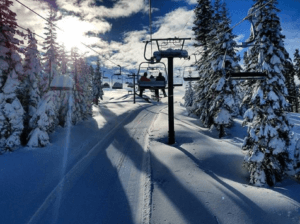 Downhill skiing and snowboarding in Yosemite: On Glacier Point Road, you’ll also find Yosemite’s top ski and snowboard area, which has delighted visitors since 1935 with its gentle slopes and casual atmosphere. It’s perfect for beginners, families and anyone looking for a non-intimidating ski experience in one of America’s most scenic areas. 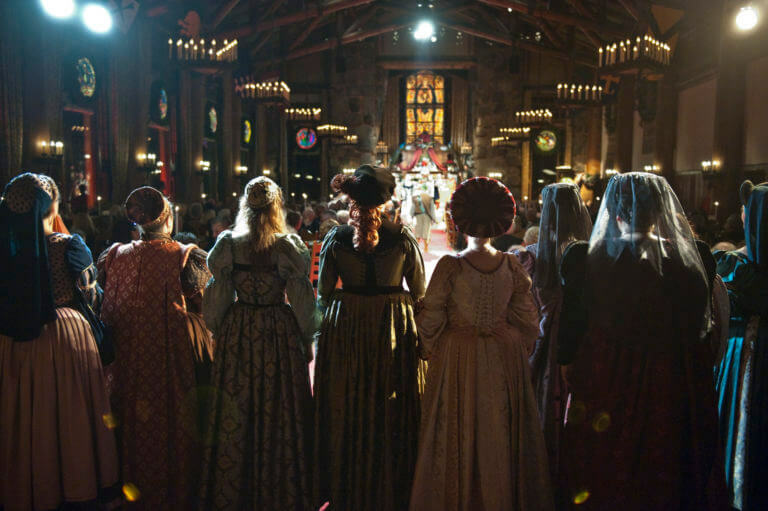 Events: Just because it’s winter doesn’t mean we stop celebrating here in Yosemite Mariposa County. 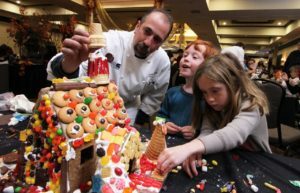 In fact, there’s plenty to do this winter, including a dinner with Santa and gingerbread workshop on Dec. 22 at Tenaya Lodge. If that doesn’t fill you up, come back in January and February for Taste of Yosemite, a nearly six-week celebration of food and drink at the Majestic Yosemite Hotel. 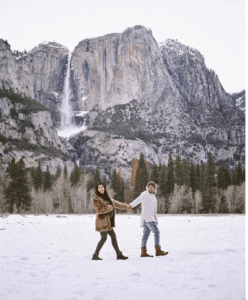 DIY: Seasoned travelers know that planning a trip can be half the fun, which is why we’ve created a searchable guide to Yosemite winter activities. 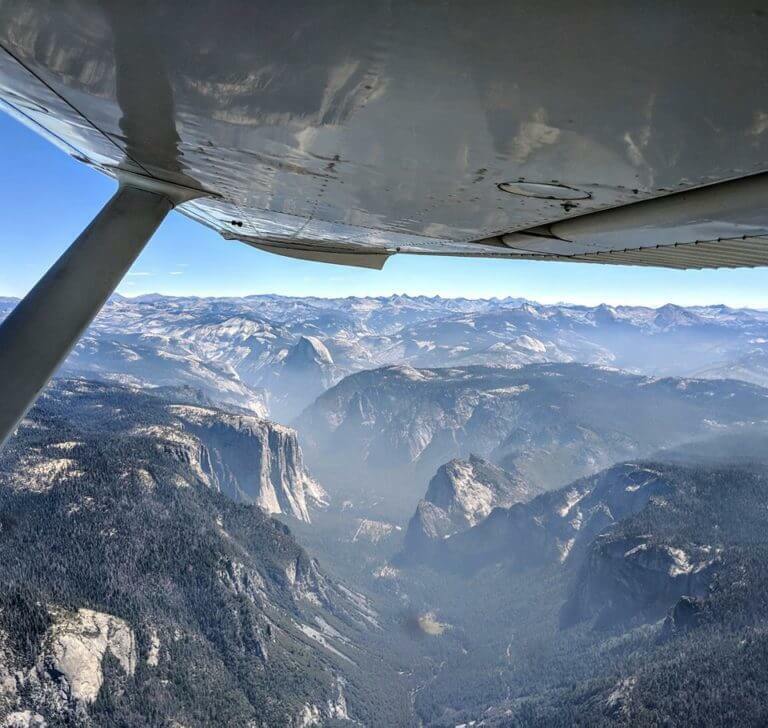 Search by activity type, region and budget to create the perfect DIY Yosemite winter vacation. Speaking of searches, you can also pick the perfect place to stay using our Yosemite lodging guide. Here, you’ll find bed and breakfasts, cabins, hotels, motels, resorts and more places to call home during your time here. Before You Go: There’s a ton of fun to be had in Yosemite this winter, but safety comes first, always. Before you head to the region, check these top travel tips, and check the road conditions right up until your trip begins. More questions about Yosemite in winter? Visit out our Frequently Asked Questions that address everything from road closures to winter fishing to park entrance fees.